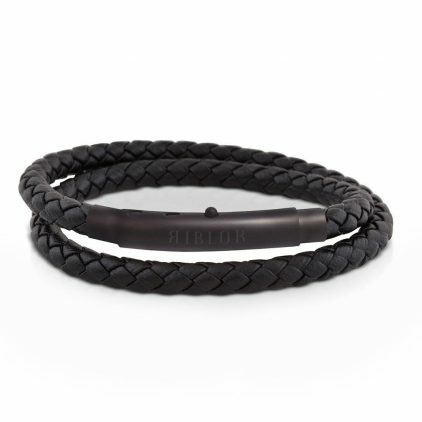 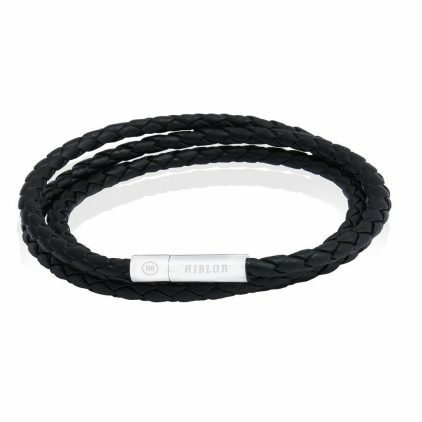 The round-shaped double row bracelet, made of full grain braided leather, silver finished lobster clasp with Riblor logo. 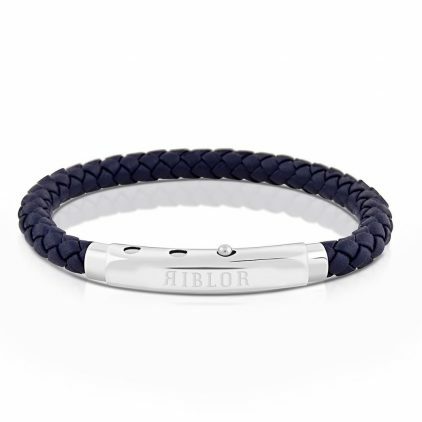 This Riblor bracelet is part of the Margo collection, made of finest double row braided leather and finished off with a stainless steel sliver lobster clasp. 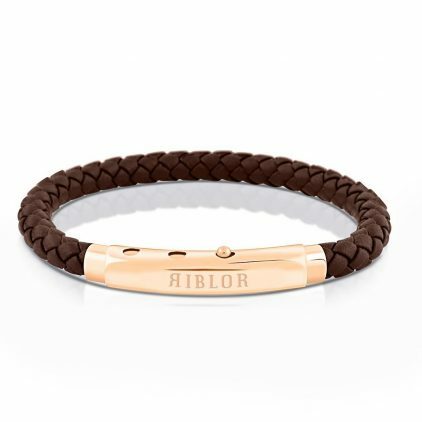 The clasp engraved with “Riblor” signature. 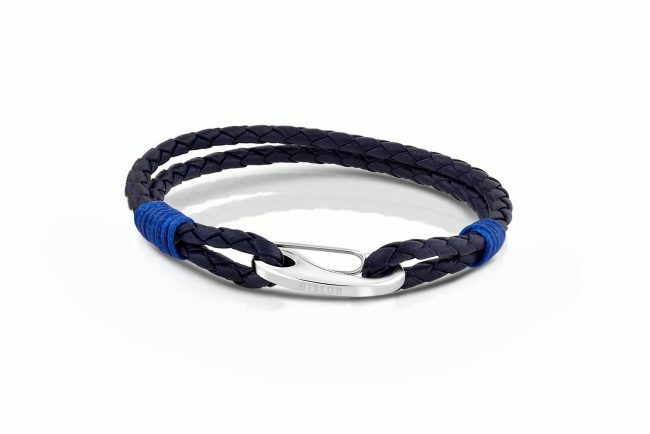 This Navy Blue & Silver bracelet can be worn to make a strong fashion statement, can be worn alone or stacked. 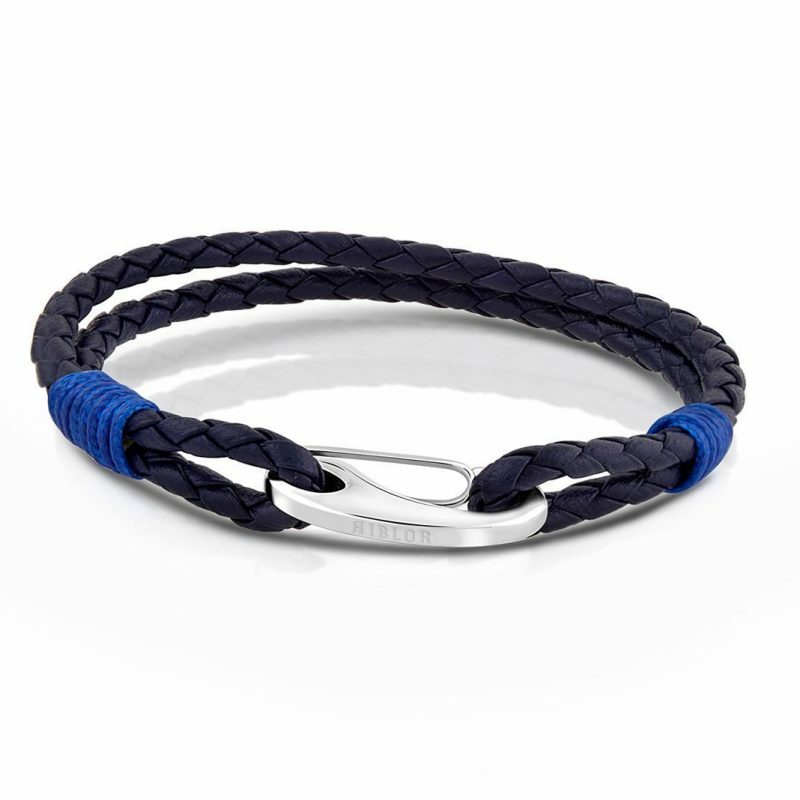 Perfect for gifting.